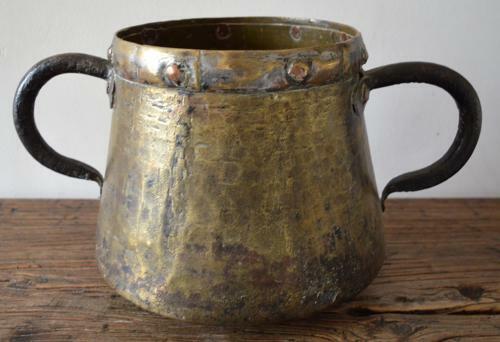 A beautiful double handled Copper Pot from the Arts and Crafts period, circa 1890. In lovely original condition. Lovely hammered marks to the Copper where it was hammered into shape. The Copper has a gorgeous colour to it. Lovely hand made rivets and joints.